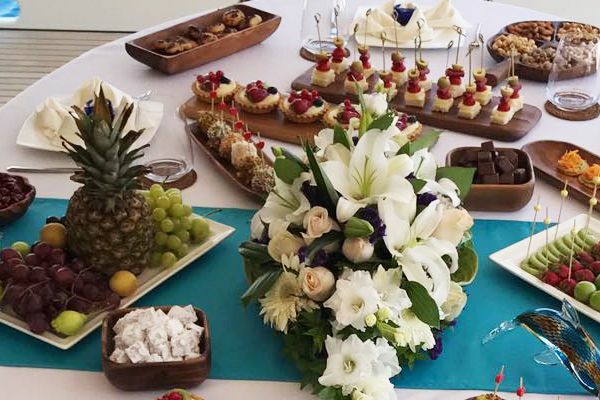 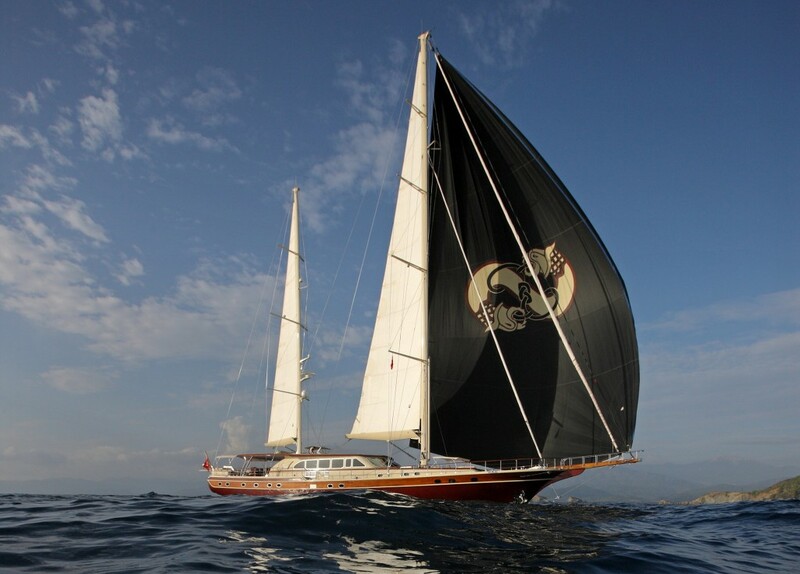 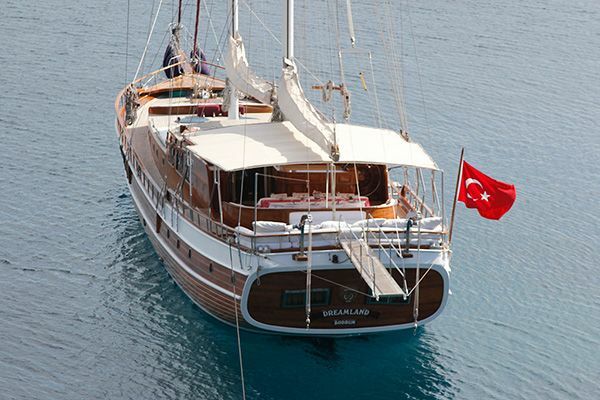 The VIP gulet Daima is a renowned luxury sailing gulet along the Turkish Mediterranean coast. 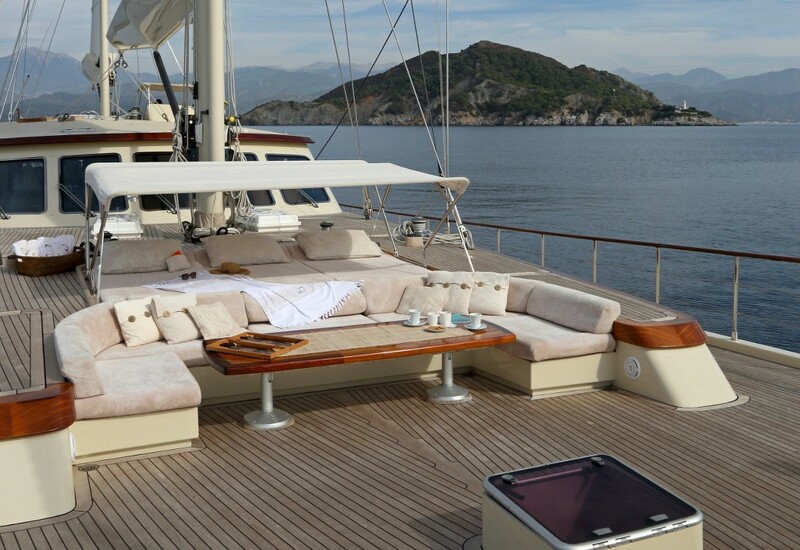 Custom built to the owner’s dream of “a powerful sailing yacht that was big enough for the whole family whilst being agile and easy to handle on the water”- the brief was achieved exceeding expectations. 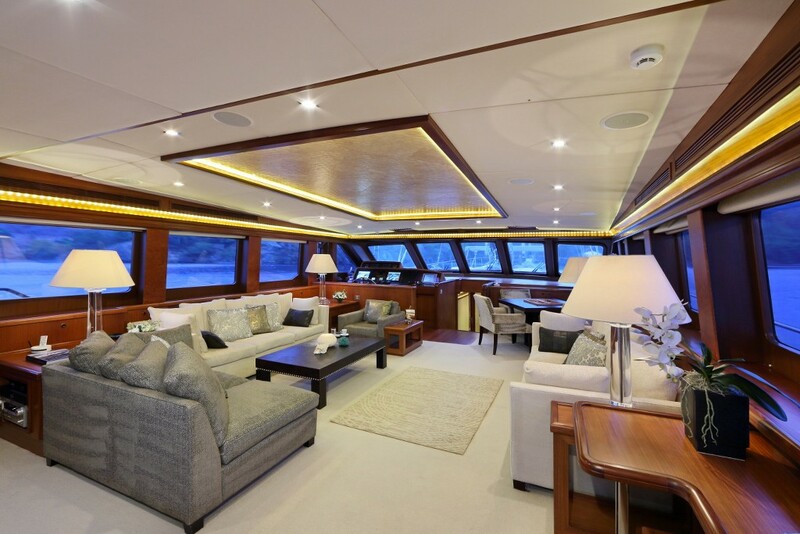 With the ample deck and below-deck space afforded by her 42 meter length and intelligent design, state-of-the-art equipment and sensitive design have created an ultra-luxurious but eminently livable and enjoyable environment for all guests and crew. 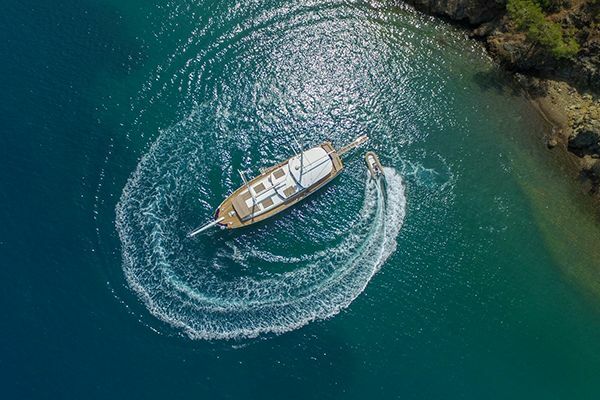 The all wood hull referencing traditions of gulets combined with the sophistication of modern design have created a unique vessel in the Daima, which is consistently in demand by exclusive VIP and return bookings, making it rarely available for charter at short notice. 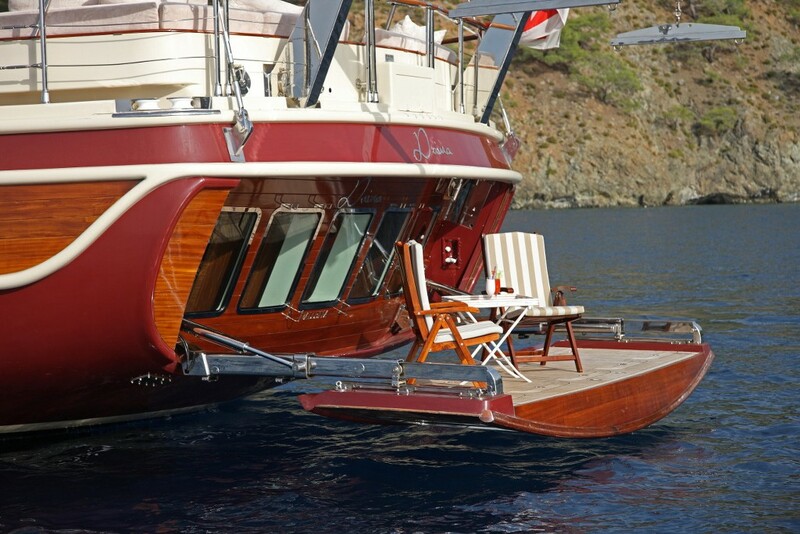 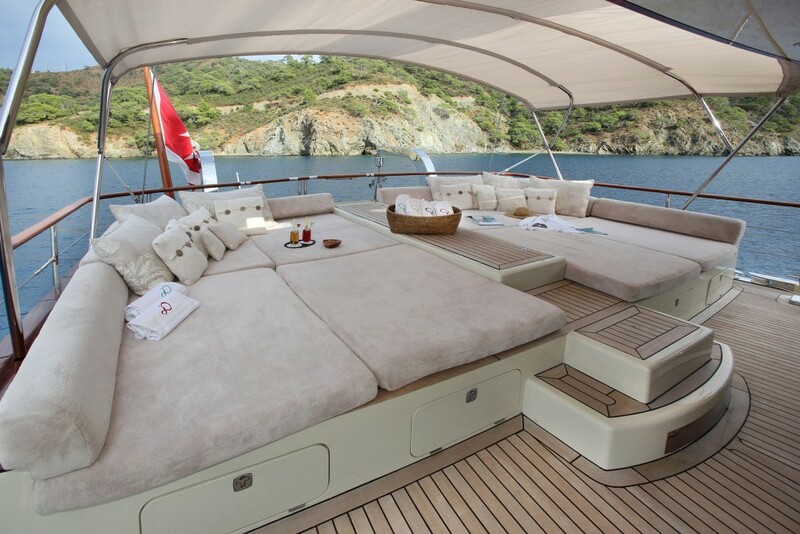 The foredeck on Exclusive gullet Daima has an elegant arrangement of sunbeds and a luxurious curved seat with coffee table, which can be shaded when needed. 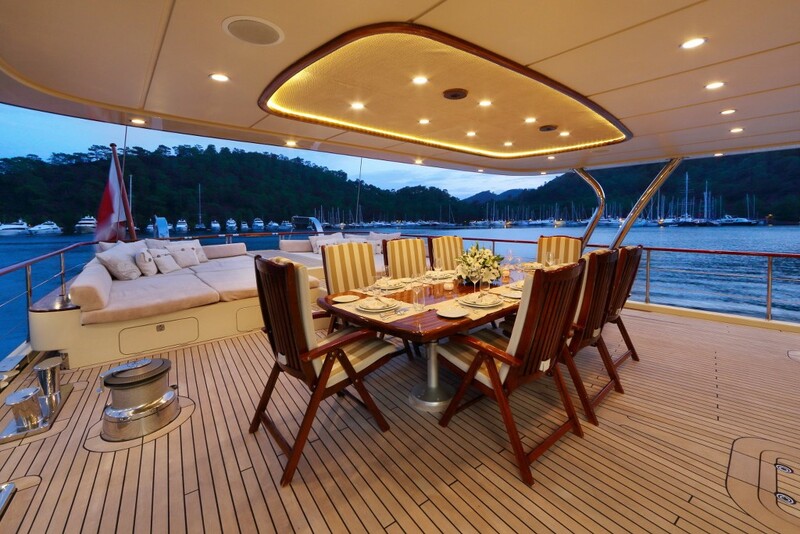 The long extension of the coach house roof shades the outdoor dining table by day, and provides sophisticated lighting for dining at night. 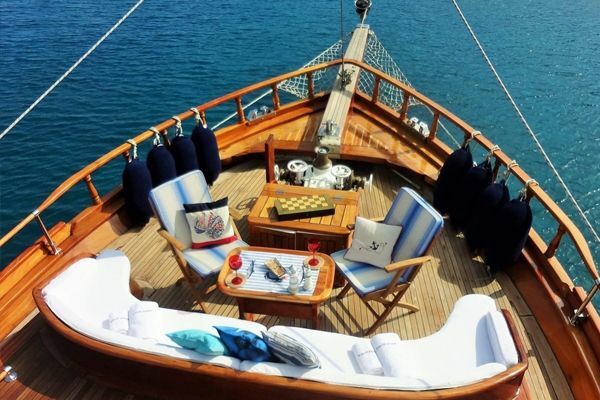 Across the stern are the deepest lounging and sunbed cushions yet seen on the Aegean, making for another relaxation zone separate from the bow. 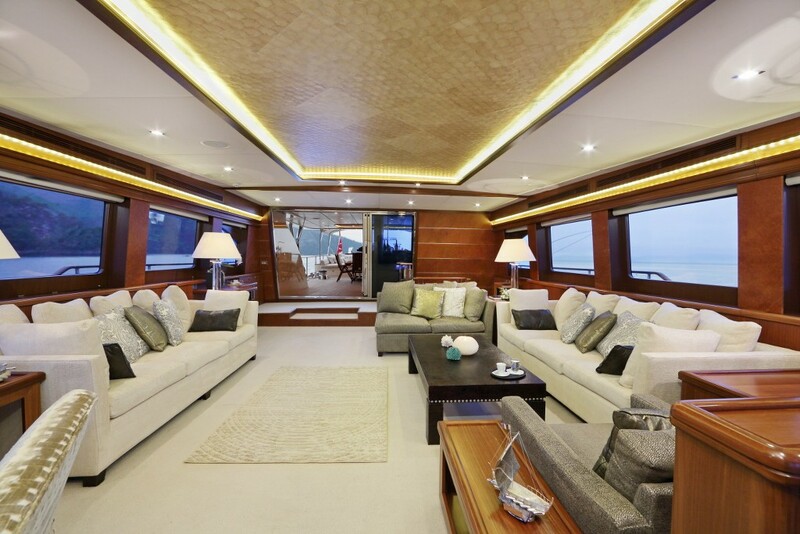 The saloon is designed as a luxurious sitting room with long sofas, and to be a comfortable zone for relaxing and entertainment with state-of-the-art music and TV system and a card table. 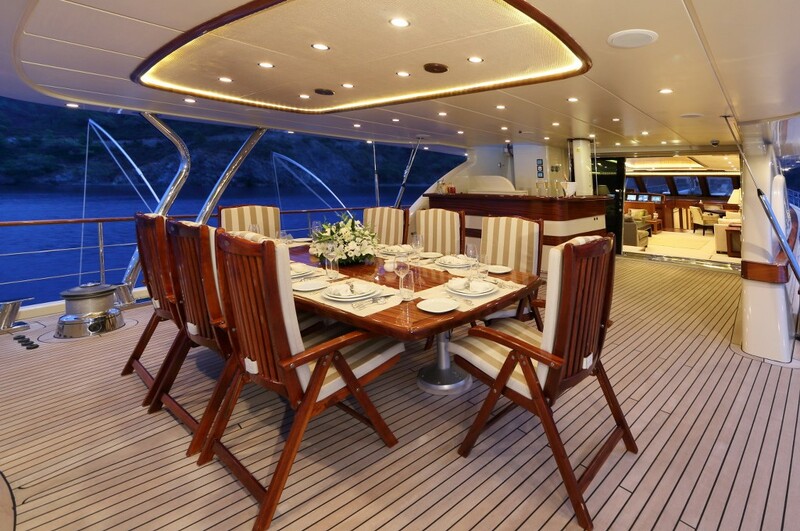 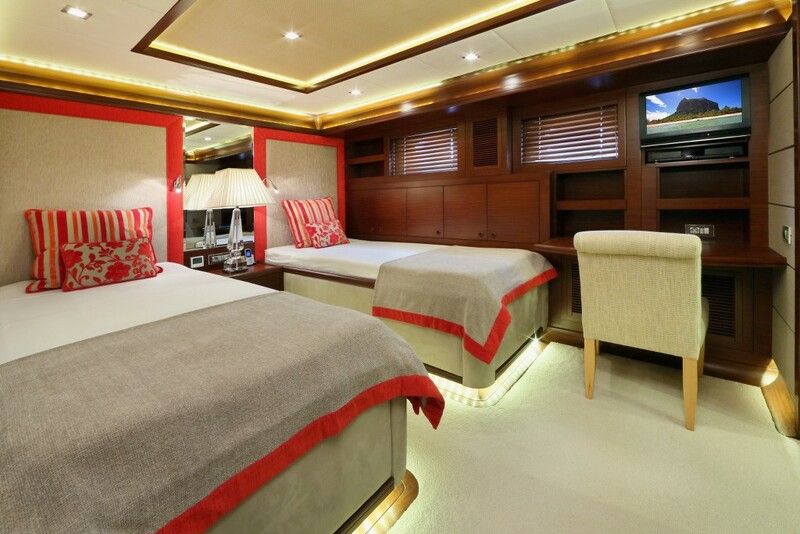 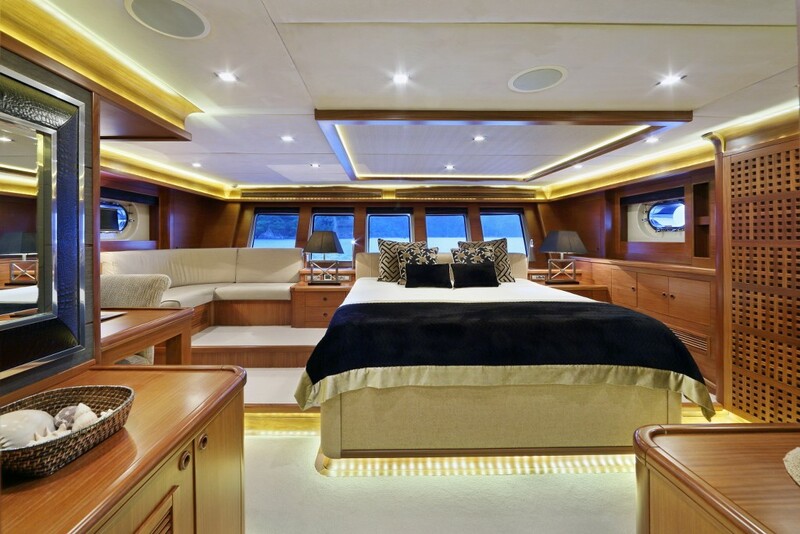 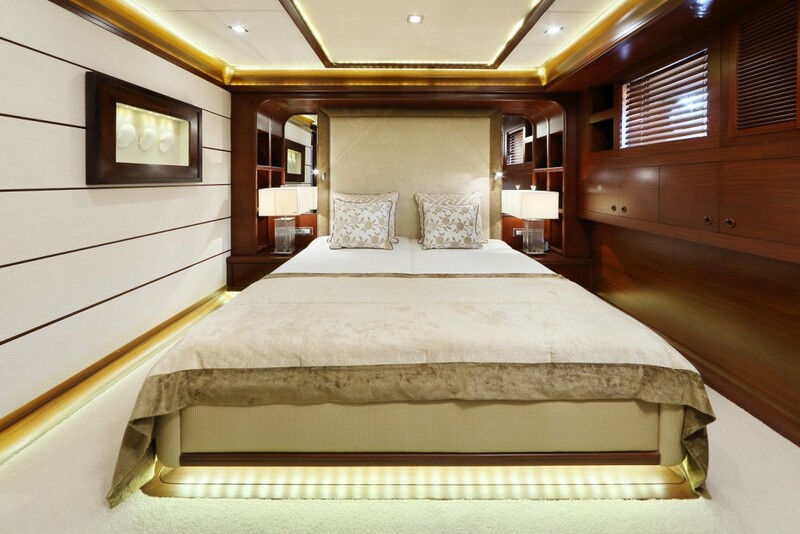 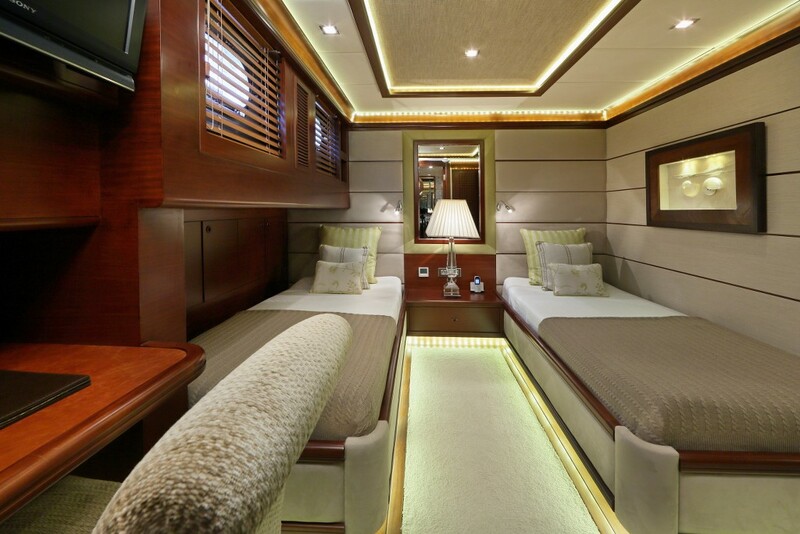 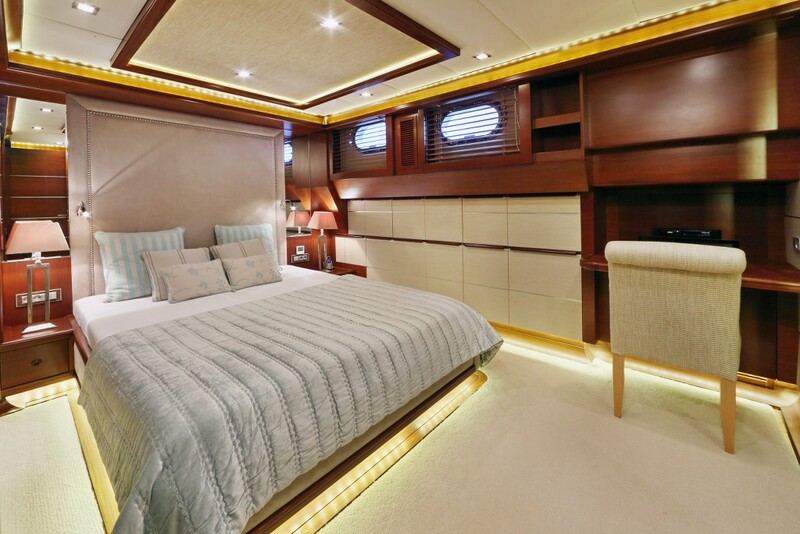 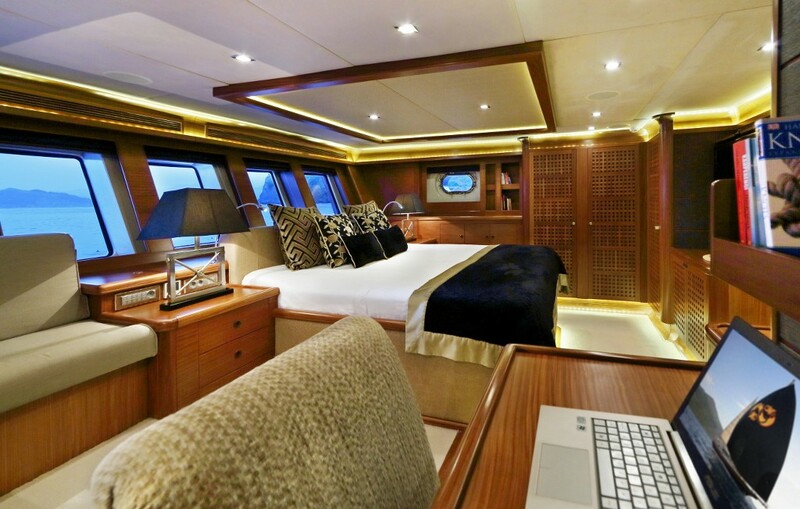 The five cabins on sailing yacht Daima consist of the owner’s suite master cabin which enjoys the full width of the beam across the stern, while one VIP double cabin forward and three guest cabins of one double and a twin bed cabin aft, and one more twin bed cabin forward are well placed for privacy and comfort. 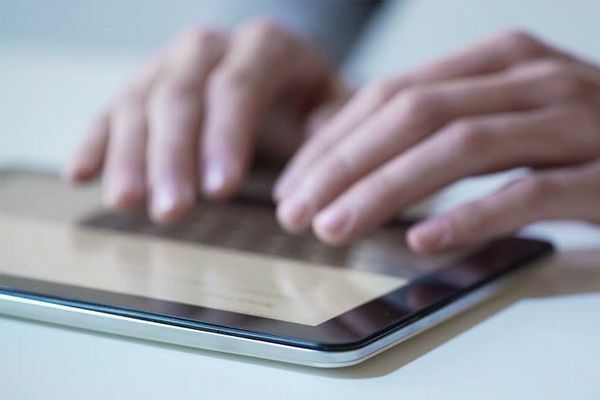 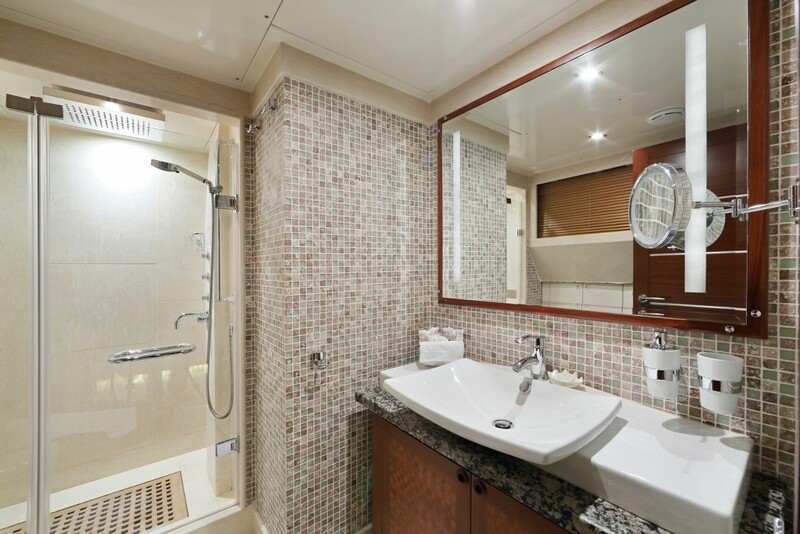 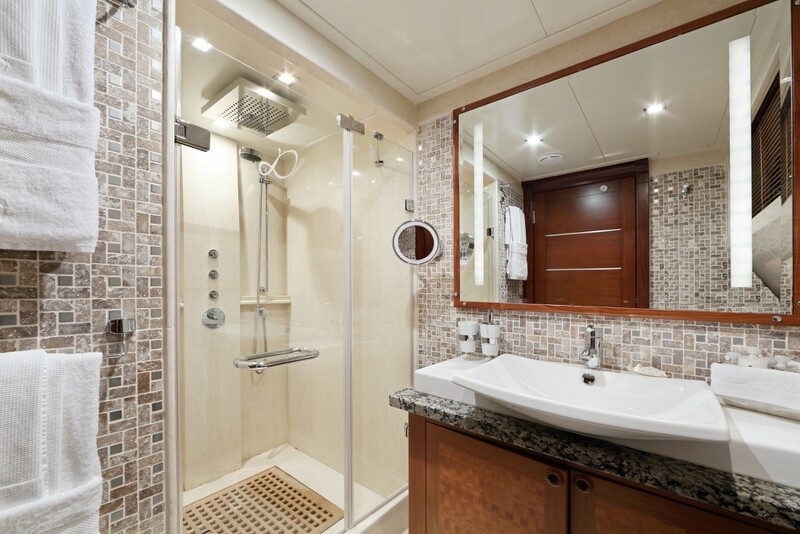 All cabins have TV and sound system, private bathrooms and air-conditioning throughout. 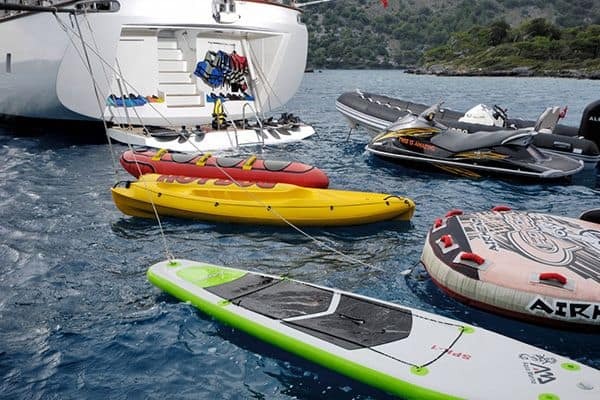 For those who look for entertainment playing in the water, the toys on board include canoe, ringo, waterski and jetski which can all be easily accessed by the platform lowered from the stern. 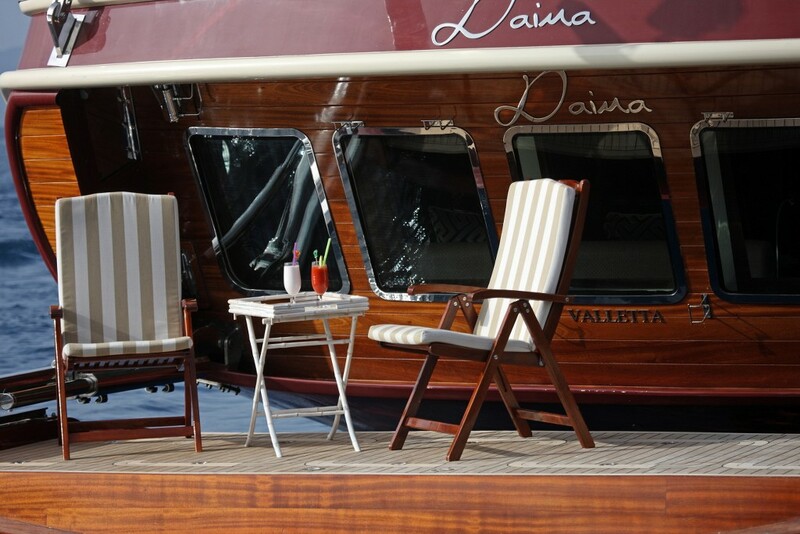 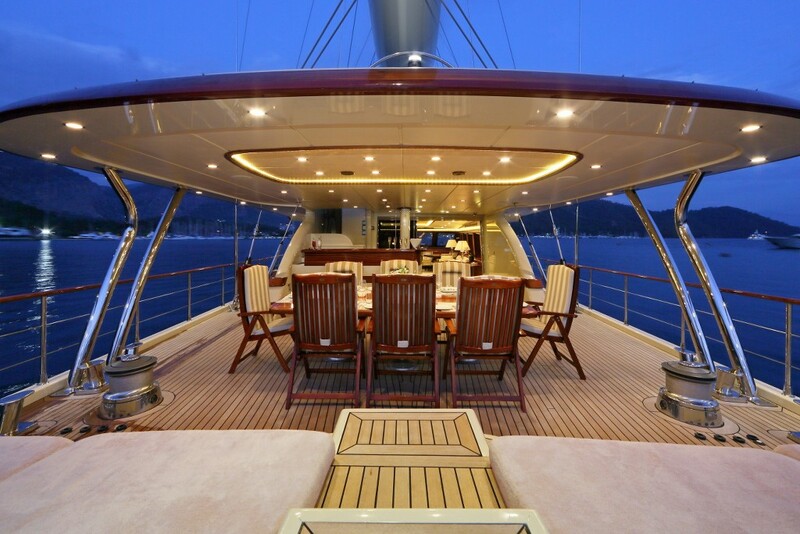 The highly trained and professional team of the Captain, chef, hostess, engineer and crewmen maintain and present the superyacht Daima to high standards with impeccable service, using the excellent array of technology and equipment fitted into the yacht. 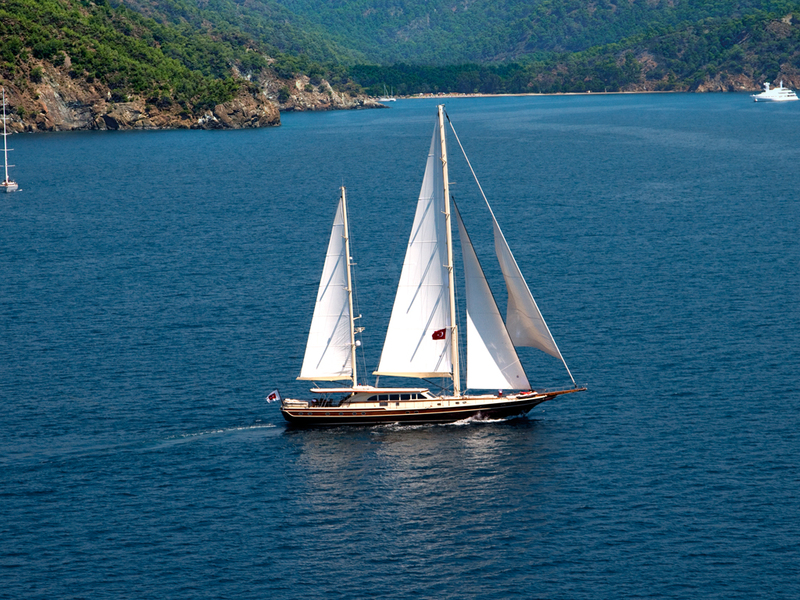 The crew members also love to set the formidable amount of sail and let the Daima fly down the coast, demonstrating the style and power that has seen her win three Bodrum Cup regattas. 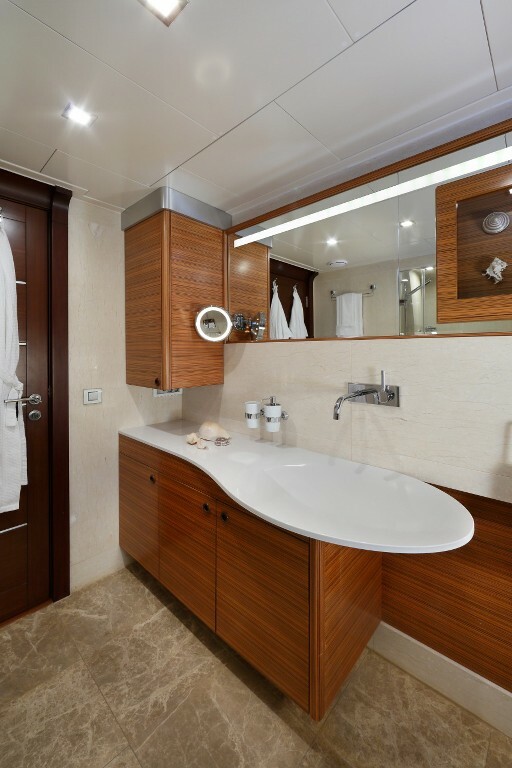 The power and efficiency allows her to cruise the Mediterranean beyond the Turkish coast, through the Southern & Northern Dodecanese to the Cyclades and further, creating many a memorable cruise experience for the fortunate guests.